The best time to take care of your health is before pain, injuries and chronic conditions occur. Maintaining a healthy weight, strong muscles, stable joints and a flexible body can prevent many injuries and conditions from happening. Every small step you take now can make a big difference in your long term health. Eat for your health! 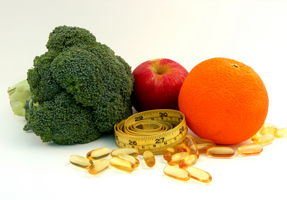 Let us guide you to healthier lifestyle choices, including nutritional counselling. Ready to take proactive steps towards your long-term health goals? Book an appointment today!